I’ve yet to see a guy who doesn’t look great when styled with a proper tight fade. I mean, there’s a pretty good reason why this is the most fashionable haircut recently, right? You know…I have a feeling a proper fade will suit you or your clients very fine. All you need is a pair of good fading clippers that come with special blades for precise tapering. Do you want to be your own stylist and save money? For DIY home users, we recommend the best bang for buck Wahl Legend from Amazon.com. This one is considered as one ot the best hair clippers for fades. Are you an aspiring barber? This list with the best clippers for fades will start your career as a true artist. For professionals, we recommend the timeless Andis Master from Amazon.com. 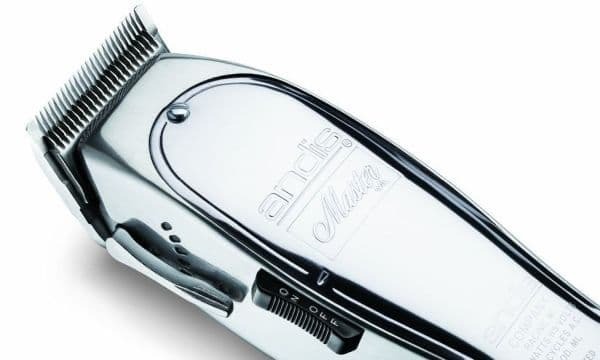 If you look around our best of lists, you’ll see the Andis Master clipper getting mentioned a lot. That’s because it’s a versatile clipper with professional performance in every aspect. The Master’s particular proficiency as the best hair clippers for fades is uncontested. There’s two reasons. First, this Andis professional hair cutter sports an ultra durable, aluminum body. It allows for a good grip so you can hold it and align it properly when doing fades. On top of that, the Master clipper features the single easiest to use and customizable side lever. 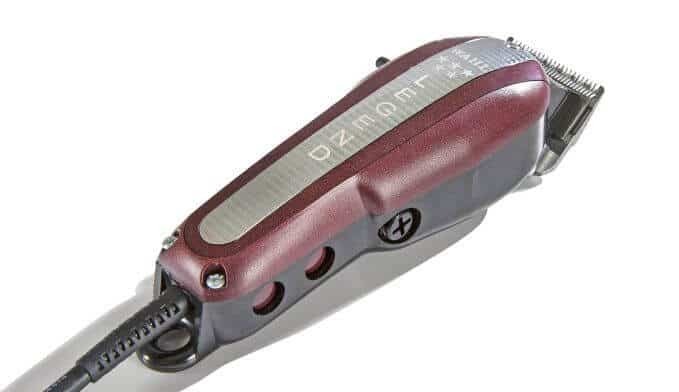 As you know, using a clipper’s lever switches the blade length and allows for easy fading action. Most levers will switch from point A to point B. The Master, however, features a more gradual lever so you can adjust its blade’s length more delicately. Speaking of blades, that’s the second strength of this best clipper for fades. Made of very sharp carbon-coated stainless steel, its blades perform the most precise, crispest cuts. Fades are all about accuracy, detailing and elegance in hair cutting. You get all of these with the Andis Master clipper’s blades. Andis most recent Pro Alloy XTR is also a good consideration as a fading clipper. It mitigates the Master’s most severe pain point – overheating. That said, the Master has a tremendous motor running at 14,000 SPM. It’s a total beast. Important: Sometimes you might hear a loud noise/rattling with your Master clipper. This is due to the screws going loose – you can fix this quite easily with a screwdriver. There’s plenty of YouTube tutorials and we have spoken about it in our Master clippers review. 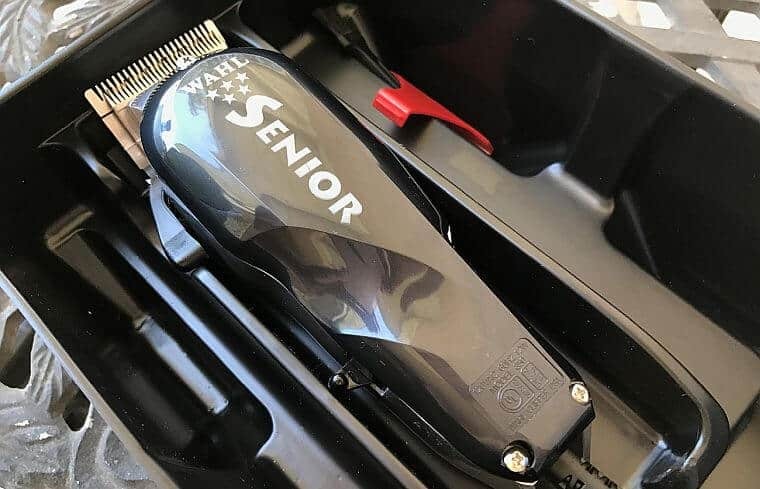 Among the best clippers for fading, Andis Master’s greatest rival is the Wahl Senior. Especially when you factor in the more lucrative price of the Seniors. What you’re looking at here are the best Wahl clippers for fades. The Senior clipper is regarded as the “father” of electromagnetic hair cutters. It comes packed with Wahl’s most powerful V9000 motor. Grabbing one ensures you receive intense, heavy-duty operation and a high number of strokes per minute. 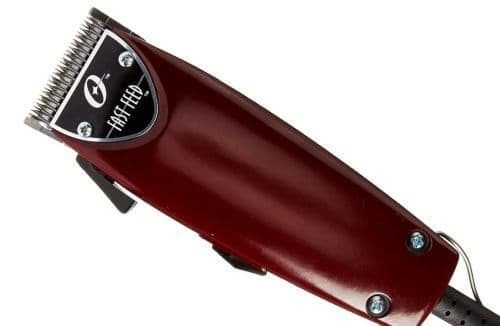 When combined with the ultra sharp Wahl clipper blades, it paves the path to top notch fades. There’s a reason I recommend you the 5 star Senior fade clippers for optimum results. The difference between them and the “standard” Seniors lies in the special fade blade the 5 star has. The original Wahl Seniors are great fading clippers too, but the 5 star will seriously improve your cuts. The 5 star series are Wahl’s word for “premium clippers”, and the blade adheres to the “premium” feel. In our Seniors review we look at some other good sides of this machine. The Wahl Senior fade clippers are a bit bulkier than the Master and definitely not as pretty. However, the model allows for an even more solid grip. Unlike the Master clipper, you also get three attachment combs (1/16″ to 3/16″) for free, in case you need to perform fades on longer hair. Exclusive: check our in-depth comparison Andis Master vs Wahl Senior to get a clearer picture on which best clippers for fading to pick. Coming straight from Oster’s line of simpler clippers, the Fast Feed hair cuter is professional, yet comfortable enough. The first thing you’ll notice here is the Fast Feed’s classic looks, a trademark feature of any Oster clipper. This hair cutting machine doesn’t heat as much as the Andis Master or Wahl Senior. Combined with its ergonomic body, we can say it’s best fade hair clipper if you’re looking for longer fading action. It’s also easier to use and lighter than them. Of course, what matters is the quality of both motor and blades. The Oster Fast Feed fade clippers feature cryogenically tested, stainless steel blades. In other words, they’re very durable and will cut as precisely as the pricier Master. The spacing between the blade is a bit wider than the Wahl clippers for fades. This makes Fast Feed blades perform better and faster cuts on thicker hair. Blades are nothing without a proper engine to fuel them. The Oster Fast Feed clippers comes furnished with a pivot motor. While a little weaker then the Seniors’ V9000 one, it’s still very powerful and will not compromise in terms of performance. Another benefit of the Fast Feed is that they are the quietest fade hair clippers in this list. Check our full Oster Fast Feed review if you want to learn more about it. Many people underestimate the potential of the Wahl Legend as great fade clippers. In my opinion, that’s a crime. Priced very attractively, this model is the second most budget friendly option among the best hair clippers for fades. Let’s focus on the important thing here: the special crunch blade of the Wahl Legend clipper. It’s made specifically for more precise cuts (and fades) and will make things way easier for you. You might notice the teeth here are similar to the Fast Feed ones, unlike usual Wahl models. Thinner than the standard, the Legend crunch blade allows for impressive detailing. This Wahl hair clipper’s body isn’t made of metal like the Master, so you can expect it to stay cool. You also receive a whole lot of 8 Wahl clipper combs, which is the best customization among our fade clippers contestants here. However, these guards might feel a bit flimsy as we mentioned in our Legend clipper review. The Wahl Legend, while not a balding clipper, will help you shape outstanding balding/skin fades. It’s perhaps the best performing clipper in our list in this regard. While not as light as the Fast Feed, the Legend still fits your palm easier than the Senior and Master. This allows for an increased motion range and overall flexibility when fading. Undoubtedly, the Andis Fade are the best hair clippers for fades for people who can’t shell out a lot of cash. For the rather humble price, you’re getting a quality hair cutting machine for more than decent fade haircuts. The Andis Fade blades are especially sharp, so you have to be careful if you’re doing tighter fades. While you have some margin of error with other fade hair clippers, here you have to be on your watch constantly. In return, though, this model is exceptional if you’re wondering what are the best edge up clippers. Any edge up will turn out to be as clean as it would with way more expensive hair cutters. A commendable feature of the Fade is its overall smoothness. Sure, its motor is powerful and that makes the clipper pack a punch. However, there’s some delicateness in how it performs in your hand. Professional hair clippers can sometimes feel a bit “rough” around the edges, so the Fade is refreshing in this regard. As I pointed out with the Andis Master earlier, if you fetch a T-Outliner hair trimmer, you’d get a killer combination. Still, as fade clippers, these are the least powerful and versatile of the previous models in the list. Hi! What hairclippers cut the shortest? (0,0mm-0,5mm)Can you please recommend me some! Hey Sveinung & happy New Year! This model really achieves the closest cut, but please be careful with the blade. It’s not your traditional blade with teeth, it performs surgically close cuts. It can nick your skin. In return, though, it will leave your hair at around 0.1-0.2mm! congratulations for the great website, I had a question to ask about the clippers for fade! Wahl magic cordless clipper is as good as the master andis? magic clip is a good clippers for fade? Hello Alex and thank you for your kind words. Unlike my colleague Alex, I’m leaning towards Andis in my clipper preferences. But he also agrees that the Master is overall better than the cordless Magic Clip. The reason is the very flexible lever. You have way more control with it, especially if you snap on Andis Magnetic Guards. 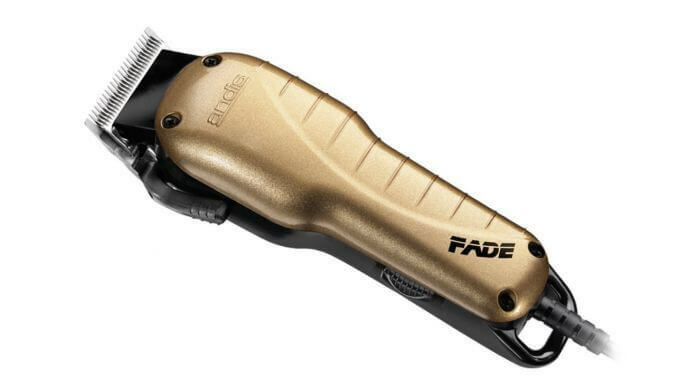 For bald fades, the Fade Master is also unparalleled due to its blade that cuts closer (#0000) than the Magic Clip’s. However, the Magic Clip – especially the cordless, can get you quite neat fades too! It’s comparable to the 5 star Senior we’ve recommended here. Some might say it’s even better, though I would disagree. If you like it, go for it. You won’t regret it! Its strong point is how lightweight it is and how cool it stays in comparison with the Masters. I don’t know man.. It might be expensive but I am buying it right away!!!! Andis Master looks so cool and stylish. Thanks for showing it to me. I bought an Oster 76 hair clipper 120 volts 60Hz and I am in Japan which is 100/60. I have heard that if there is a frequency difference there will be some problems. But what I have is a voltage difference and I can’t not find any discussion about that online. I contact Oster and they clearly told me that I am not supposed to use the clipper under 100 volts, neither use electric adapter. However, I already pay and because of that my worst scenario is not to use it. I read that the main issue with the adapters are the watts and frequency. Given that I don’t have that problem of frequency I wonder. given that i don’t have problem of frequency, Can I buy just an adapter (inputting 100 volts and outputting 120 volts) with the proper watts specification? Hm…usually international usage isn’t recommended, but you have the proper Hz which, I think, is the most important part. What will probably happen on 100V is the clipper motor working a little bit slower (~15% or so given the 120V -> 100V decrease.) It should still do a good job, though. I think I’ve read about people in a similar situation to yours who were able to use their clippers well enough. Whether this will wear out the motor in the long-term though, I don’t know, as I haven’t been in such a situation. I think an adapter is a safe bet if you want to preserve the clipper in the future. And a 76 should last you for quite a while! hello, you are a great help for the barbers! Congratulations to your website, I have some questions! we saw the pro alloy against the master, I wanted to know the best to vanish and still the master? The difference between them and the engine alone? so is the master better to fade? Another question, what changes with the legend 5 stars wahl and 5 star wahl senior? Does the v9000 engine have both of them? why senior and more powerful? the blades are the same, only change the widest lever of the legend! how is the old man and the best of the legend? Pro Alloy vs Master is a tough call, but I’d prefer the Alloy. Why? Less vibrations and better ergonomics – it doesn’t get as hot. This helps, especially with longer haircuts! The blades are slightly different – the Seniors come with the #2191 fade blade. Legends come with a crunch blade – it depends on the person, but for me, the crunch blade is better. Honestly, those two are VERY similar. The wide lever as you mentioned is the only BIG difference. Also, the Seniors are more heavy because of the aluminium bottom of the body – they get hotter too. I’m currently using a Wahl Super Taper for cutting my own hair, I have a buzzcut with a light fade. I was wondering if the clippers you mention in this article will provide any significant improvement over my Wahl Super Taper? I think that the Super Taper is a very good clipper, especially for home use. I wouldn’t see any need to switch up clippers unless you plan on doing other haircuts for your friends or family too. In which case, it would depend on the types of haircuts you need to do as to what would be best. In other words, stick with what is working for you! Hi, for cutting my own hair could I please ask your personal preference between the Wahl Super Taper and the Andis Alloy Pro please! It’s mainly used for fading but I want a good all rounder! 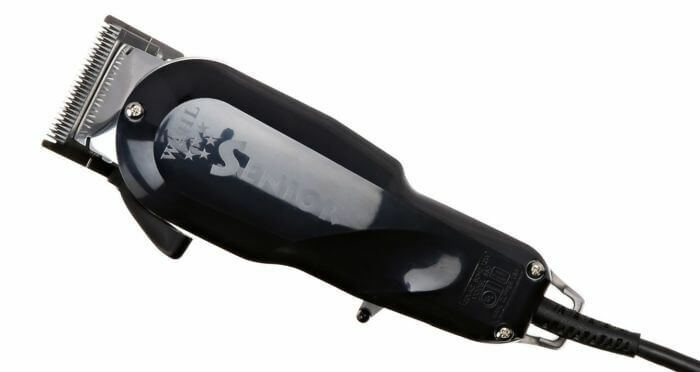 If you will need to do some fading then the best all arounder for your needs is the Wahl Super Taper. It isn’t just for fades, it can handle pretty much any haircut you can throw at it. You can’t go wrong with this one.